Please join the Hon. L. Felipe Restrepo, Hon. Eduardo C. Robreno, Hon. Stella Tsai and the HBAPA for a "Reaching for the Bench: Exploring Paths to the Judiciary" Panel on November 1, 2018 @ Pond Lehocky! Register here. Limited seating available for the Business Development Forum. Download the joint event brochure and register online. We had another successful Cafecito last week! Thank you to Laura Sicola, PhD of Vocal Impact Productions for coming in and presenting to the group about vocal empowerment for women in leadership. This session, we had 20 women in attendance ranging in years of experience and practice area. Thank you also to our sponsor Ballard Spahr LLP and to Melissa A. Martinez for helping to plan the event. CLE at the ball park! 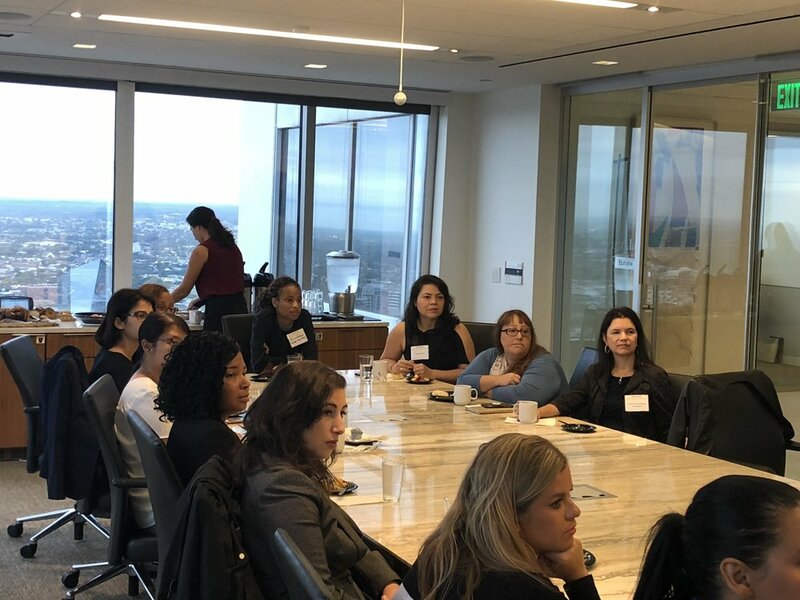 Thank you to Hector Daniel Ruiz and the HBA-NJ, and also to the law firm of Morgan, Lewis, and Bockius, for partnering with us to present a fantastic CLE and networking event at the ball park in Philadelphia last week - "Taking A Knee Or Raising A Fist: Regulating Player And Employee Conduct On The Sport Field And In The Workplace." Thank you also to the distinguished panelists who delivered a lively and memorable discussion: Professor Ken Jacobsen, Jerrold Colton, Carlos Montoya, Charles Centinaro, and Julia Sturniolo. And special thanks to Morgan associate Kelly Kuschel for helping to organize. Our board member, Will Gonzalez, is being honored by APM at its annual Gift of Love fundraising event on Oct. 25, from 6-9pm, at Union Trust. Here’s a link to more information!